Hello conceited dolls, and Happy Labor Day! 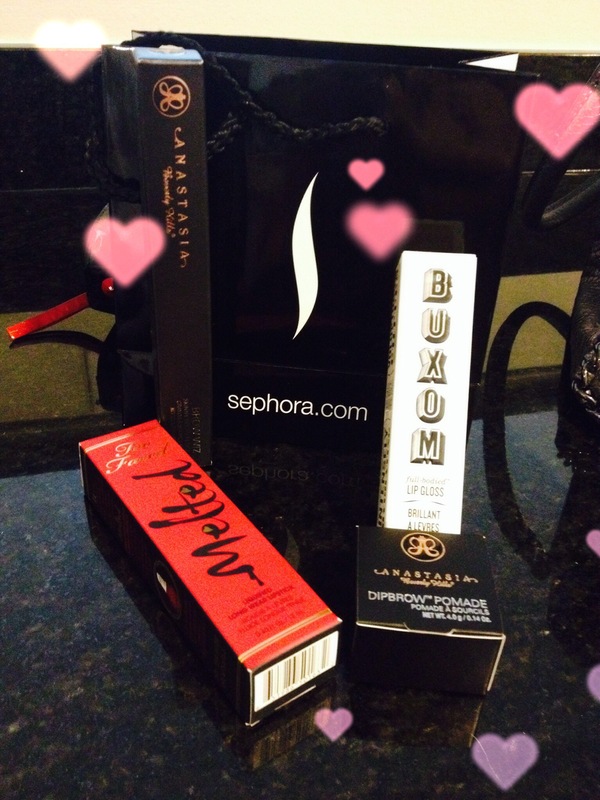 What better way to end a three day weekend (for those of us sucked into the Monday through Friday office blues that is) than with a Sephora run! After all, everyone deserves a moment to reflect on their hard work and treat themselves on Labor Day. And nothing is more of a treat than a black and white “S” bag! Today’s haul wasn’t a large one, but I did manage to grab a few things that have been on my wish list for quite some time now. Can’t wait to play, and I will surely be wearing one of my grabs this weekend for a dinner night with the girls! 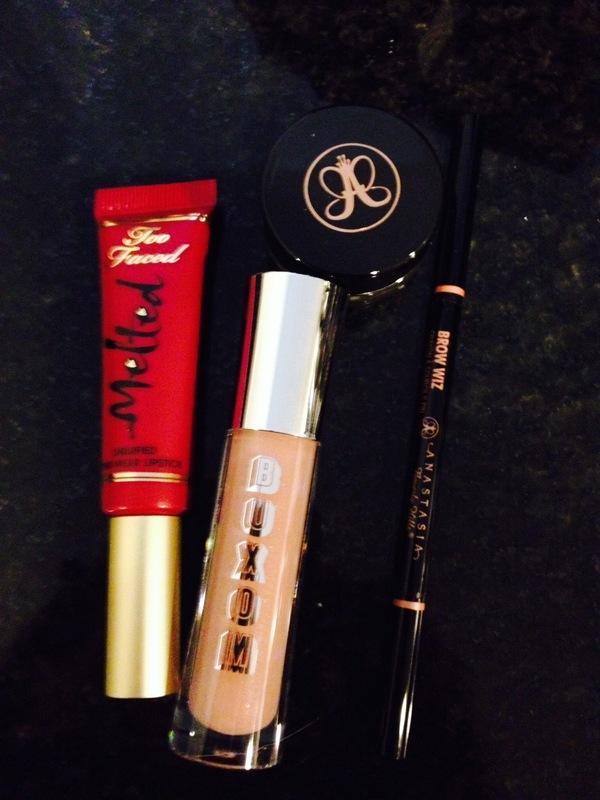 Anastasia of Beverly Hills, you are a glam genius! There really isn’t one makeup lover out there who isn’t familiar with your amazing products. I was lucky enough to get my Contour Kit (FINALLY) and you may have hooked me forever with that gem! Now, I’m venturing out of my brow box (I’ve been a loyal fan of Benefit Cosmetics and their Brow-Zings) and trying your Dip Brow in Medium Brown, as well as your Brow Wiz pencil/brush duo in the same shade. With one swatch test at Sephora, I was hooked! Keep on working that A-game, Anastasia! Lips. Guys love ’em. Women love ’em. They are the seductress of the face. So I can always count on coming home with a new lippie of some sort when I come home from any haul. Today was no different. I snatched up Melted Berry from Too Faced and Yes You from Buxom and their Full Bodied Lip Gloss line. Melted Berry might just up my vixen game for sure – part raspberry, hint of blackberry, and all day wear. For those of you that haven’t tried the Melted line yet, do it. Now. Too Faced has changed the game of what is gloss, what is lip stain, and what is lipstick. Why not have it all?! And Buxom, I’m LIVING for your glosses right now. The minty feel is always a nice touch, and I find you can get the same wet sheen as a MAC lip glass, but without the sticky factor. Stay tuned for some looks with my new babies. And this weekend’s girls night will surely be a sultry one with Melted Berry coming along. Have a great week, dolls! And excuse the grainy photos. Holdin’ out for that iPhone 6 is proving to be a HUGE pain in the a**!